Explore articles and reports related to artificial intelligence for sales, including applications in pricing, sales management, and more. 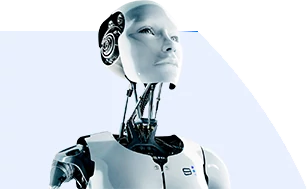 Artificial Intelligence has many applications in marketing and advertising. However, it may prove useful in the near-term future for businesses to start looking into AI solutions for after they generate a lead. AI already has applications for converting leads into paying customers and making progress on various steps in the sales process overall. Episode Summary: Whether we're talking about customer service, marketing, or building developer teams, what we try to do on our AI in Industry podcast is bring to bear lessons that are transferable. There are few more transferrable ideas than what makes a company ready to adopt AI. When it comes to the willingness and the ability to integrate AI into a company strategy and to fruitfully adopt the technology to really see an ROI, what do the companies that do so successfully have in common? What do the companies that are not ready or too fearful to do it have in common? Deloitte estimated the size of the global travel and tourism industry at around $1.6 trillion in 2017. When adding in the indirect and induced economic contributions of related activities, the travel and tourism industry accounts for 10.4% of the world’s gross domestic product (GDP).